Showdown's Classic - 1991 Palomino Overo mare, - APHA World Show, fourth overall in Open and Amateur Halter Mares and APHA Congress Reserve Grand Champion Mare. (We showed at the congress and the world). She was unfortunately injured on her way home. 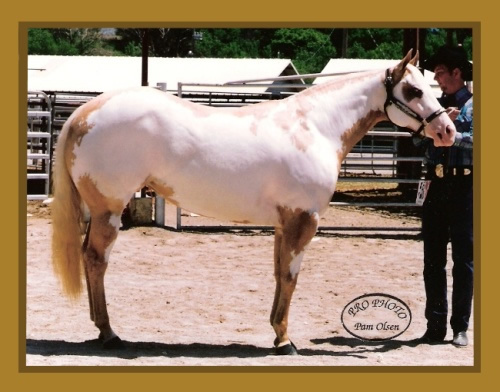 (See her story) She was on the APHA Leading Dams list for years and her picture is on the Leading Breeders List. 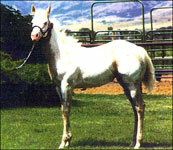 We have kept some of her daughters by World Champion Stallions, that are producing some of our best foals. Click the thumbnail pictures below for Buttercup's story!